Born in St. John’s Newfoundland. Robert Pilot was the stepson of Maurice Cullen. He attended classes at the Royal Canadian Academy and the Art Association of Montreal, his teacher was William Brymner. 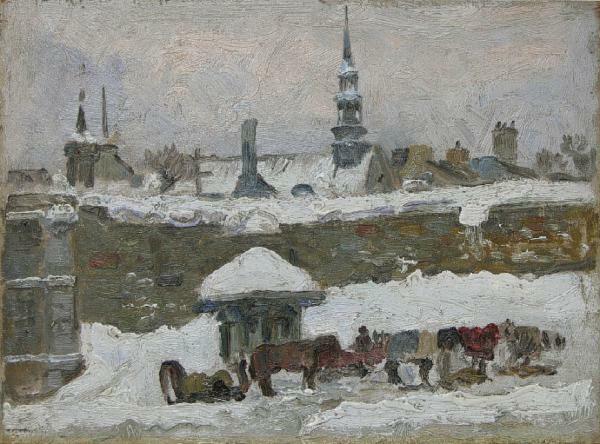 Robert Pilot studied at the Academie Julian in Paris under Pierre Laurens (1920-22) then returned to Montreal. In 1925 Robert Pilot was elected an Associate of the Royal Canadian Academy. His first solo show was at the Watson Art Galleries in 1927. Served in the Canadian army in WW2. Showed at Blair Laing Galleries in Toronto in 1948. Pilot was elected President of the R.C.A in 1952.